Height: what the customer likes. Numer of Fins: 24 finites y 4 thick . Numer of Fins: Total 16 = 12 of 8mm bases and 4 of 9,5 mm bases. 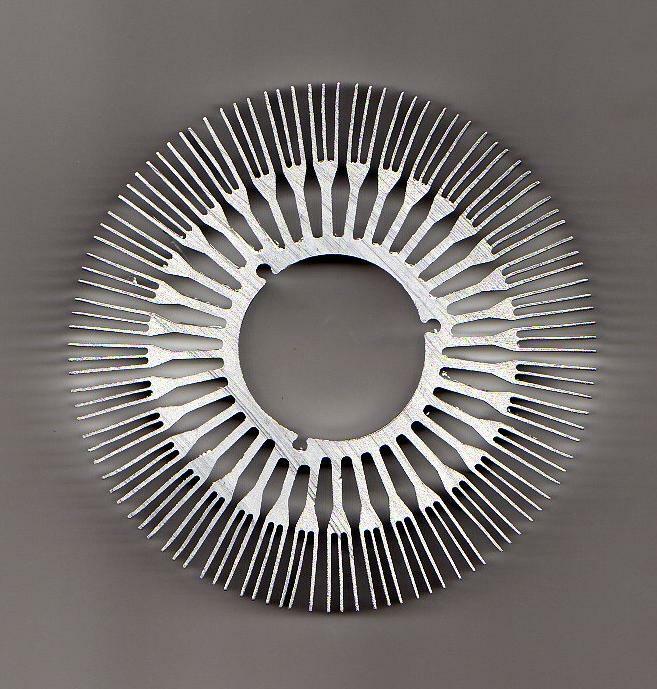 Others: includes 3 holes (inside diameter) to screw. Bases thicness central nucleus: 2,00 mm. 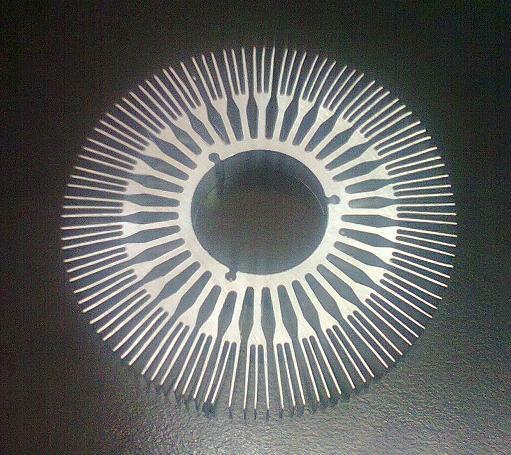 Inside diameter of the sturdy type : 27 mm. Weight per Meter: 2,580 Kg. 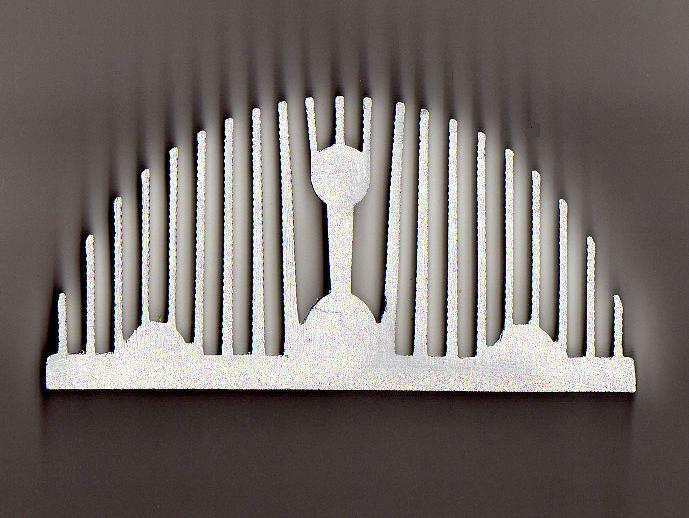 Thermal resistance: 1.8º C/W for 50mm (approximate). 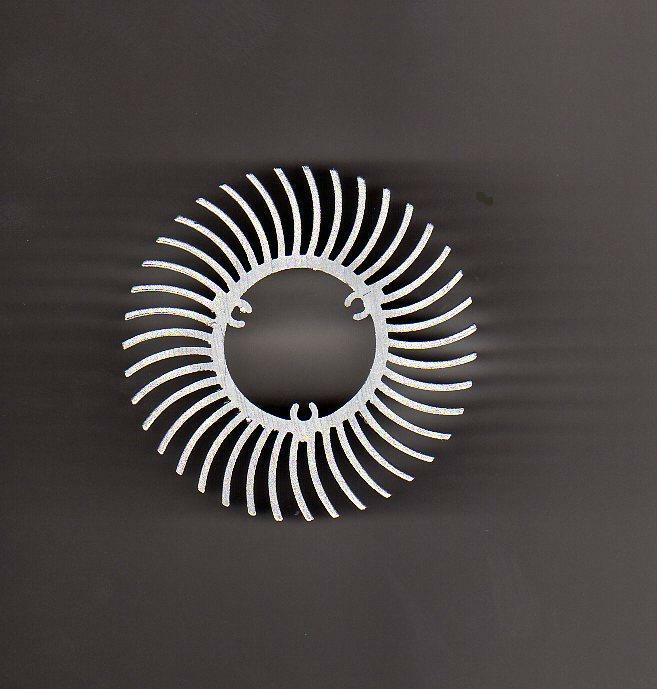 Comment: In this profile if the customer likes, we can make e hole. Lenght between fin and fin: 8 mm. 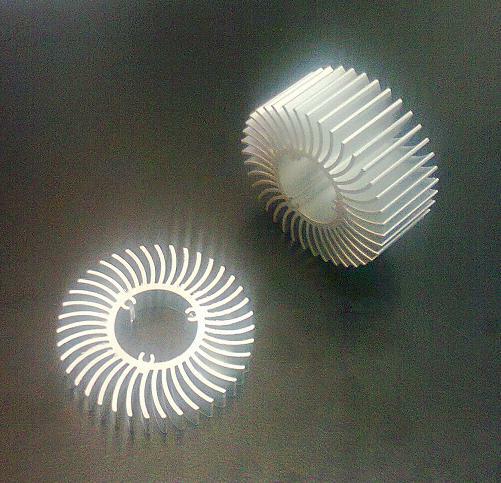 Thermal resistance for 100 mm: 1.40 º C / W.
Comment: In this heat sink, it necessary make a hole in the middle of the base(on the top) that the wheel can take the heat sinks. 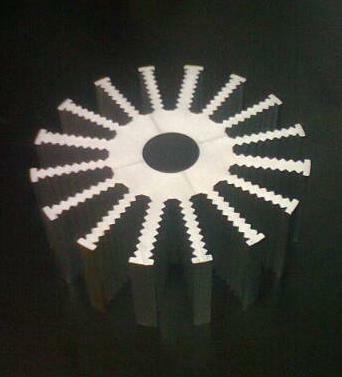 Lenght between central fins: 32mm. 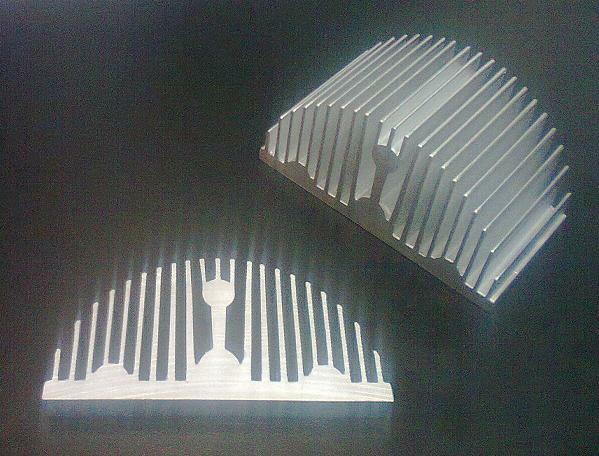 Thermal resistance for 100 mm:: 1.60 C / W.
Thermal resistance for 100 mm: 1.30 º C / W..
Lenght between fin and fin: 4 mm. 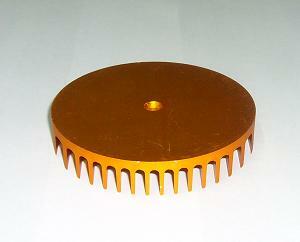 Thermal resistance for 48 mm: 4.00 ° C / W.
Lenght between fin and fin: 4 mm down and 7mm in top. 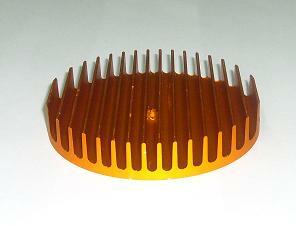 Diameter of bases (without fins): 49 mm. 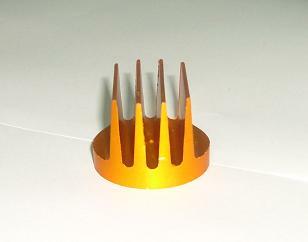 Diameter of fins (without bases): 45 mm. Lenght between fin and fin: 5 mm down and 7 mm top. 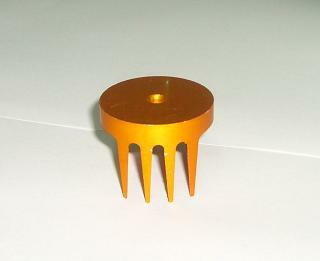 Thermal resistance for 94 mm: 1.20 ° C / W (Aprox).